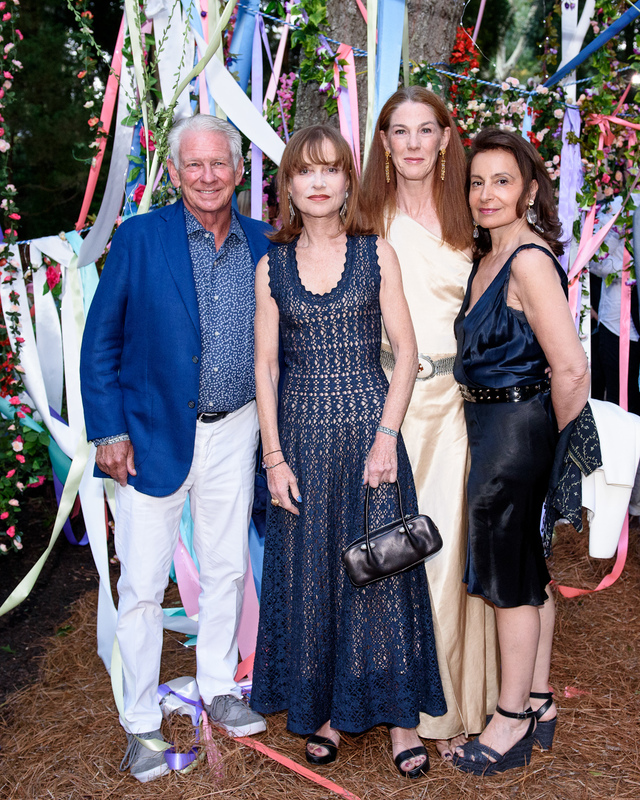 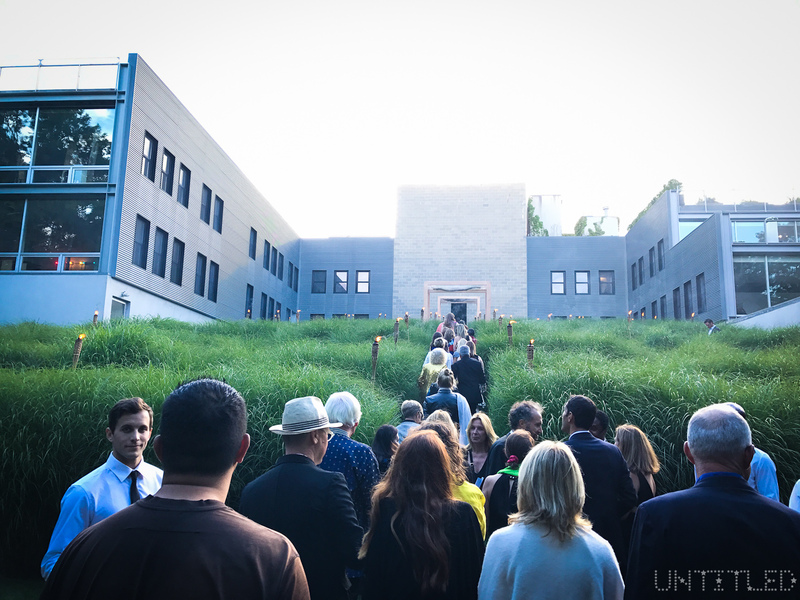 Watermill Center 2017 24th Annual Summer Benefit "Fly Into The Sun"
More than 1000 guests attended the sold out Watermill Benefit and Auction on July 30th titled, “Fly into The Sun” that honored Laurie Anderson and Isabelle Huppert. 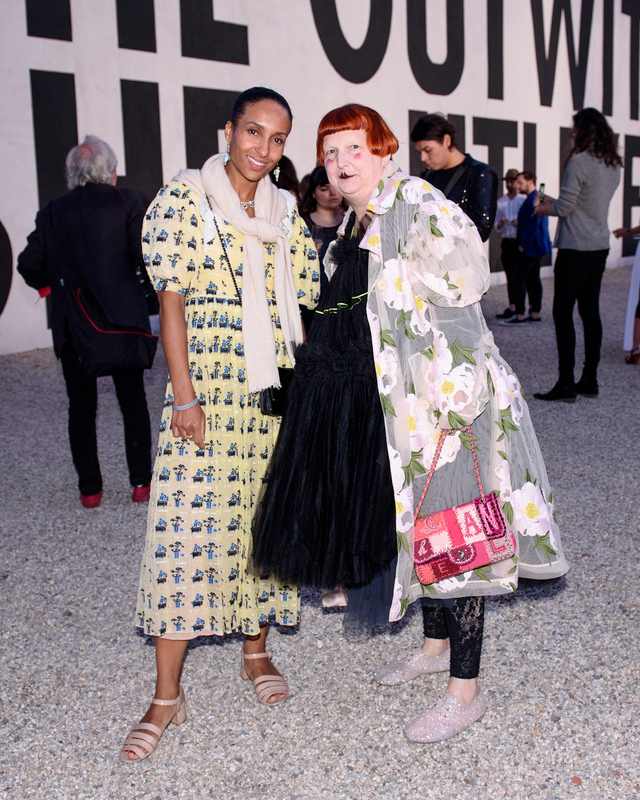 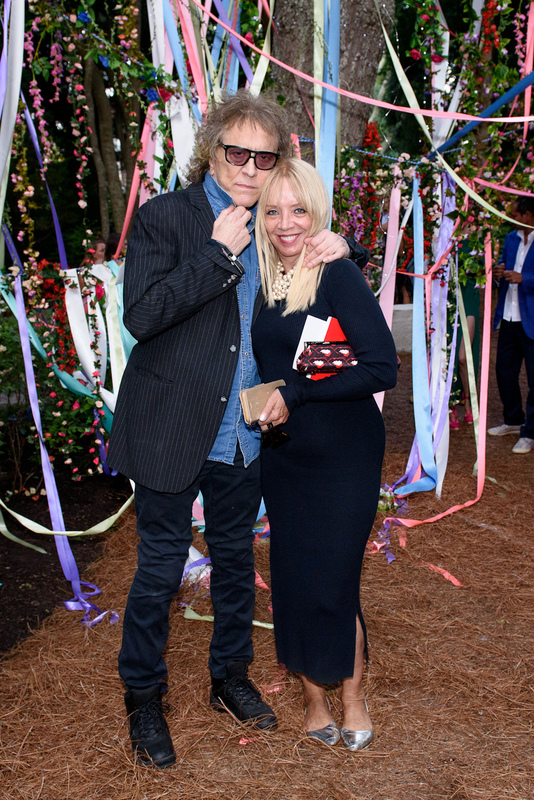 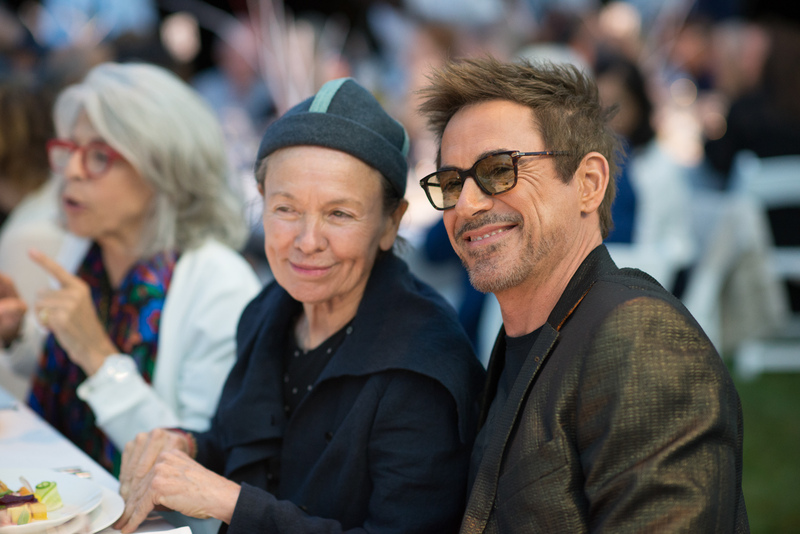 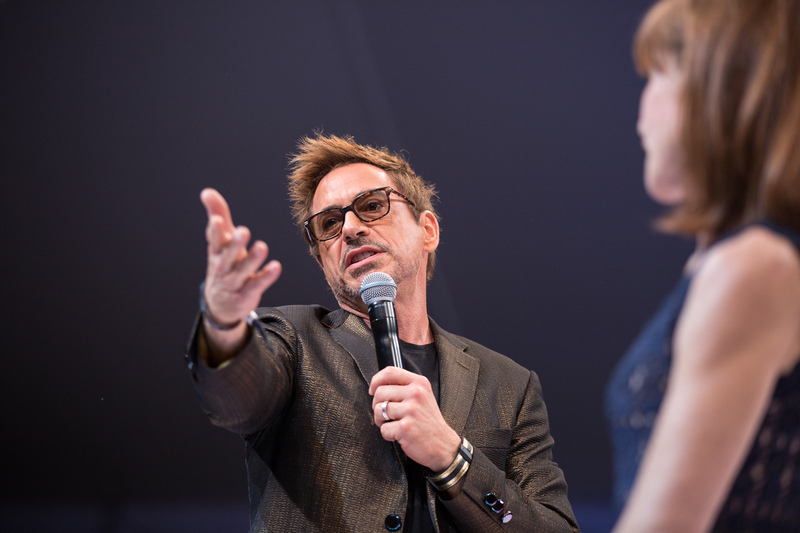 Some of the guests that attended the foundation’s 24th annual benefit included th honorees as well as Robert Downey Jr., Maxwell Osborne, Francesco Clemente, Prince Dimitri of Yugoslavia, Amanda Hearst, Anne Heast & Jay McInerney, Fern Mallis, as well as The Untitled Magazine’s Indira Cesarine among many others. 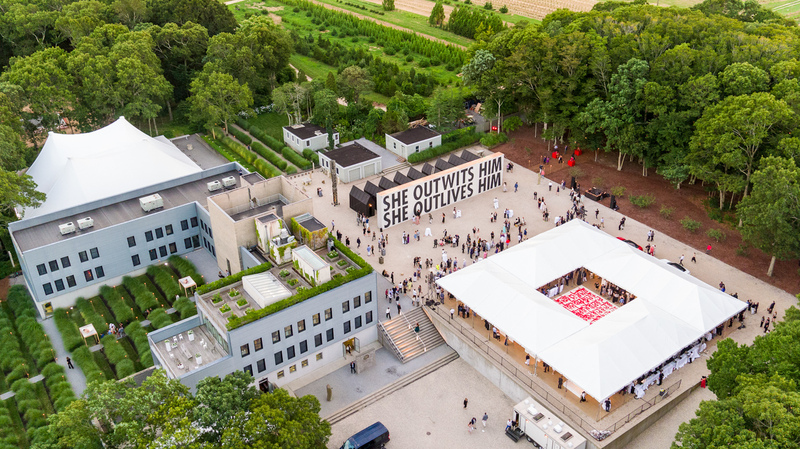 Presented by french jeweler Van Cleef and Arpels, proceeds from the benefit and auction of artwork go to The Watermill Center’s Year-Round Artist Residency and Education Programs. 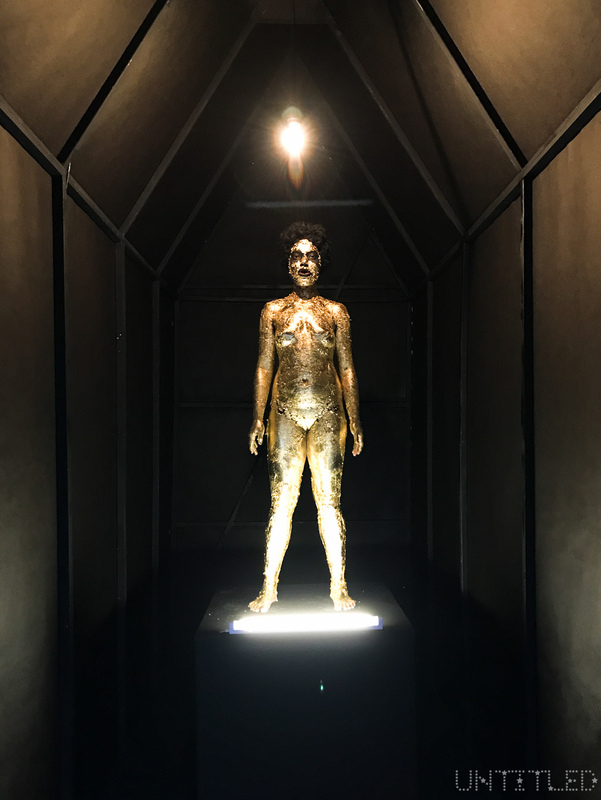 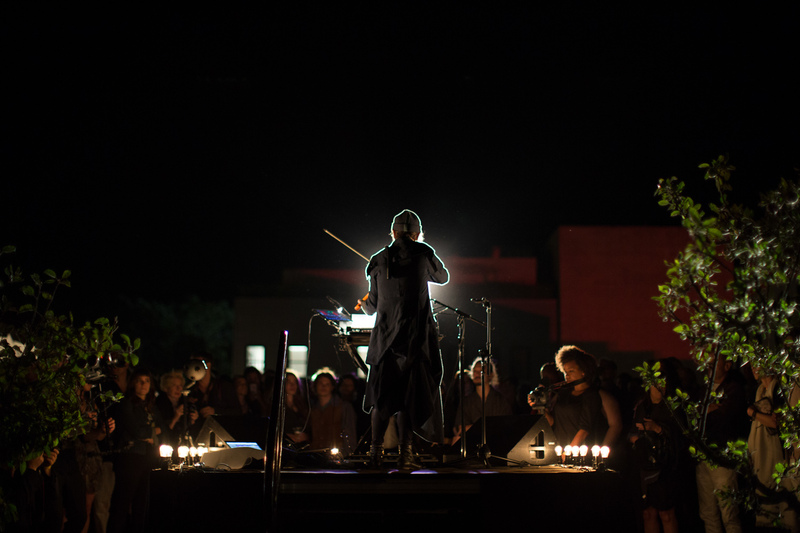 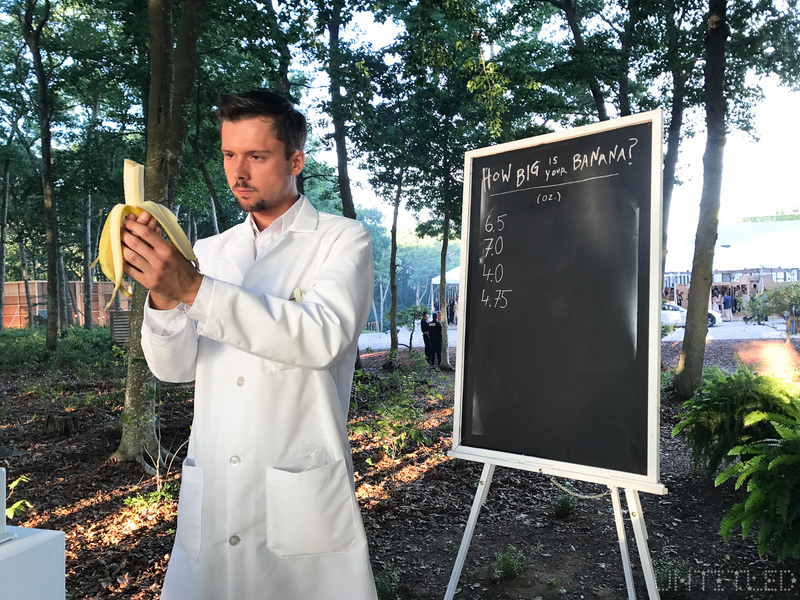 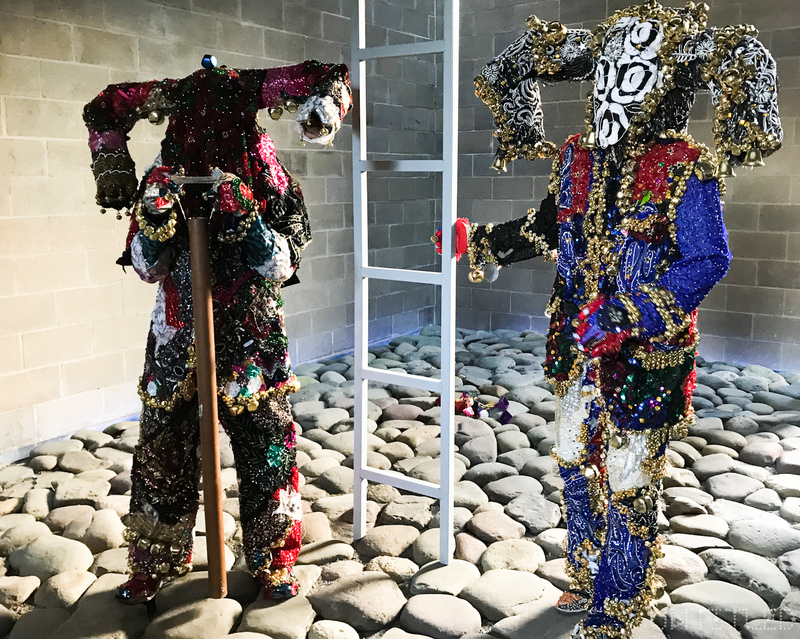 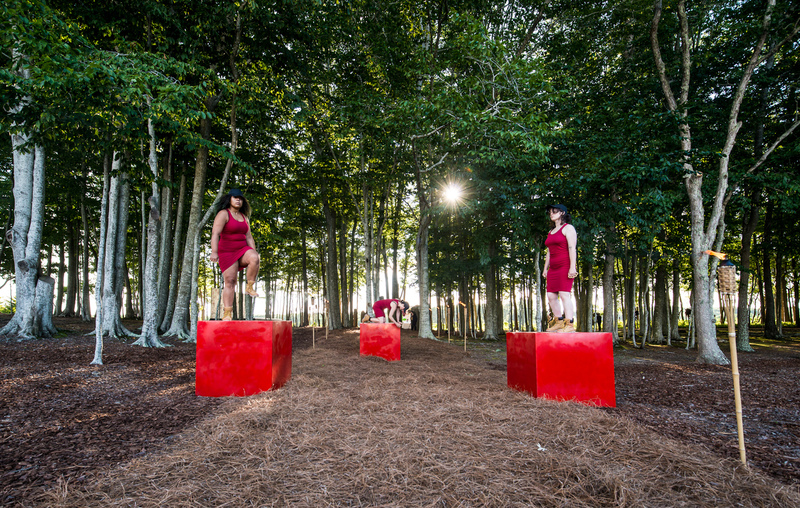 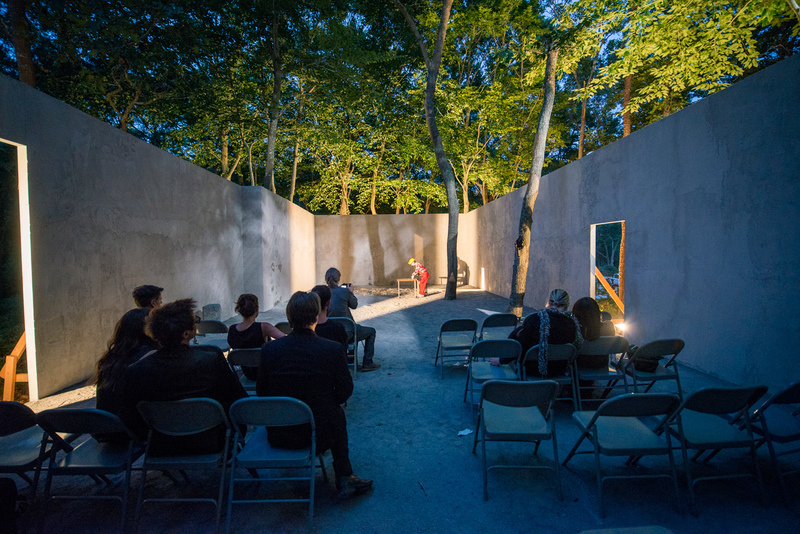 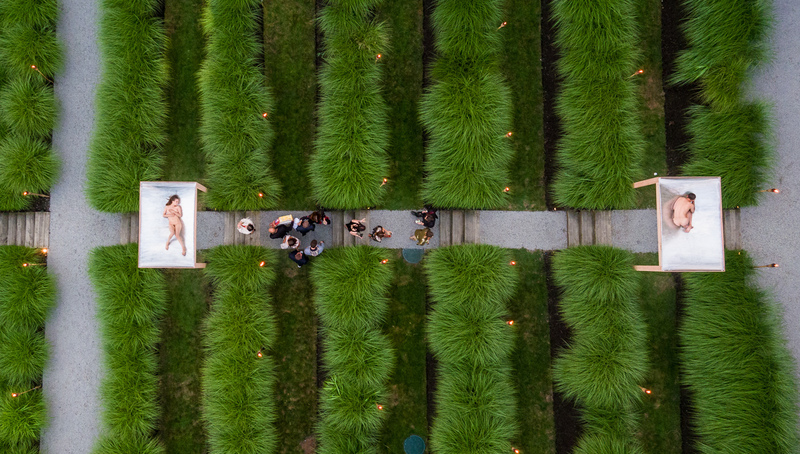 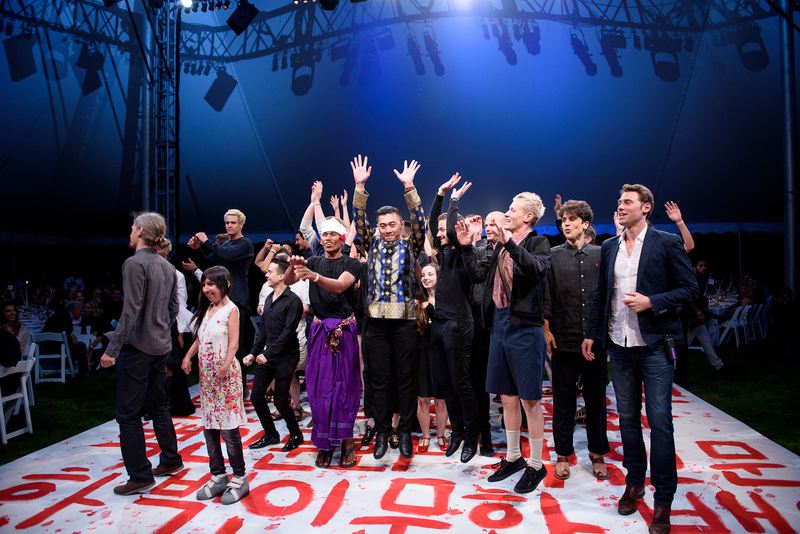 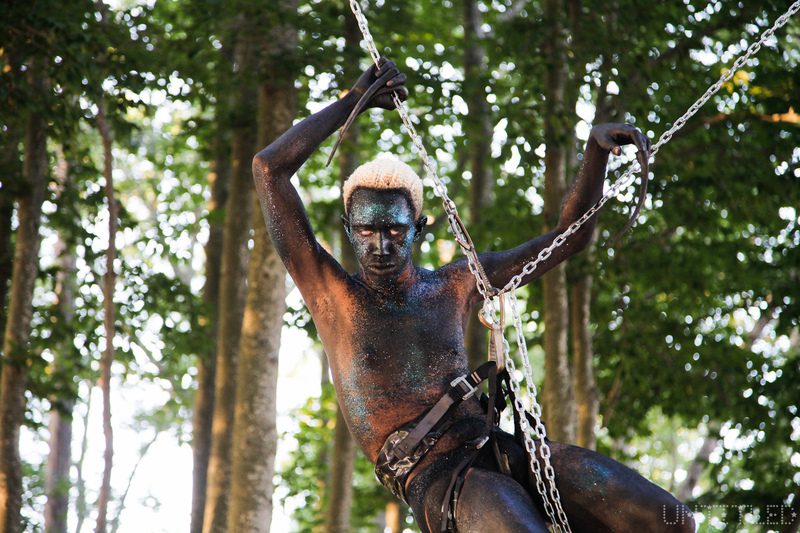 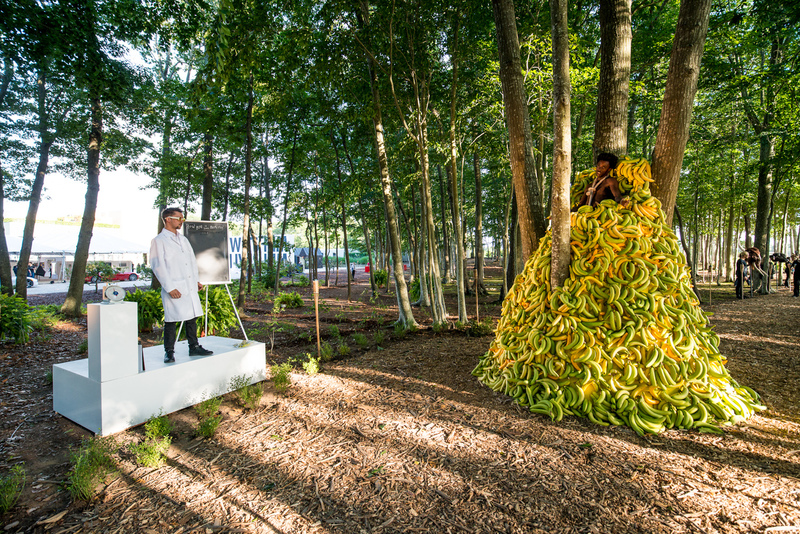 There were over 20 site-specific works and performances curated by Noah Khoshbin and Ivan Cheng in tribute to Lou Reed’s life and work which was positioned throughout the Center’s 8.5-acre grounds. 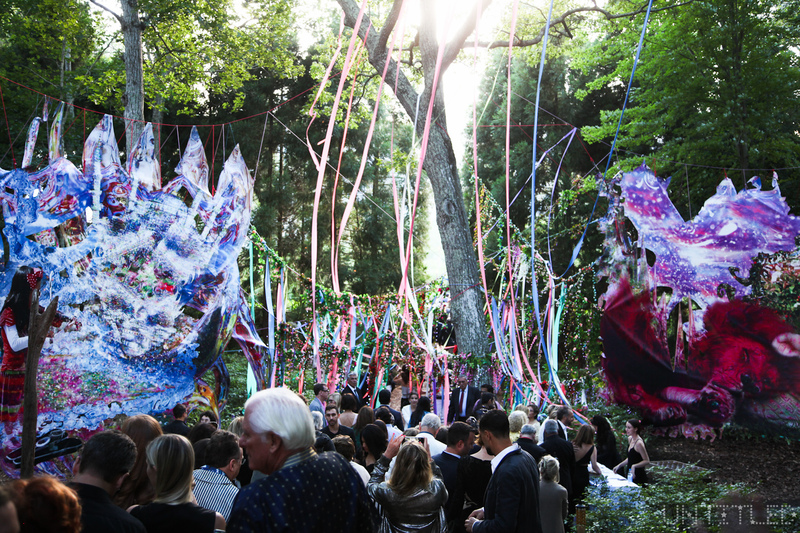 Sporting the evening’s dress code of “Dark Shiny Matter” guests were greeted with a tiki torch-lined path outside featured various performances such as Jared Madere’s colorful large-scale installation as well as Kate Gilmore’s Beat and Nile Harris’ Monkey on His Back (Love Laboratory). 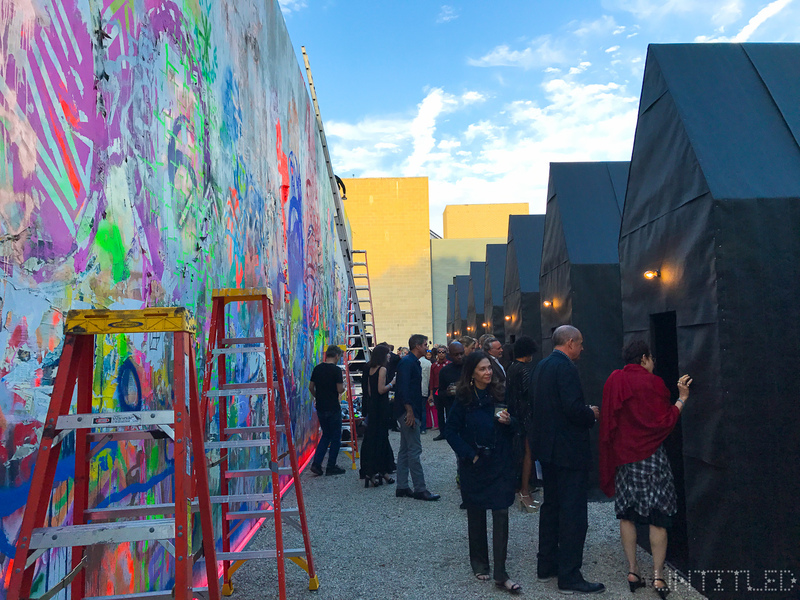 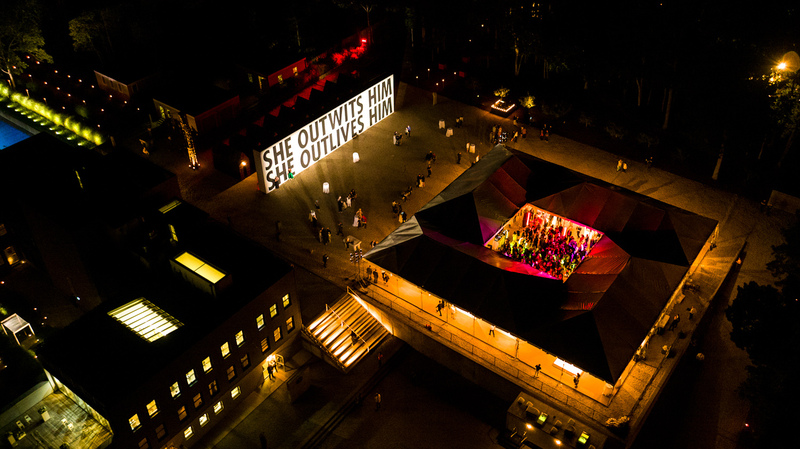 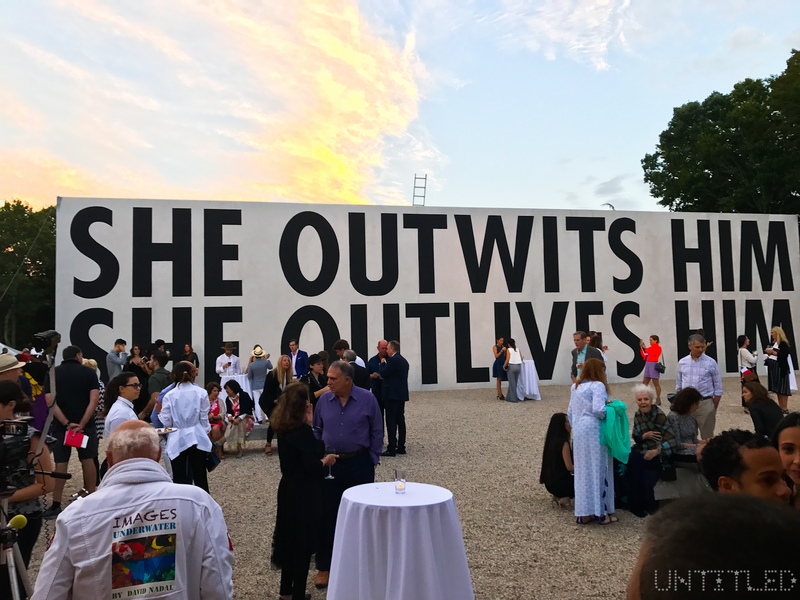 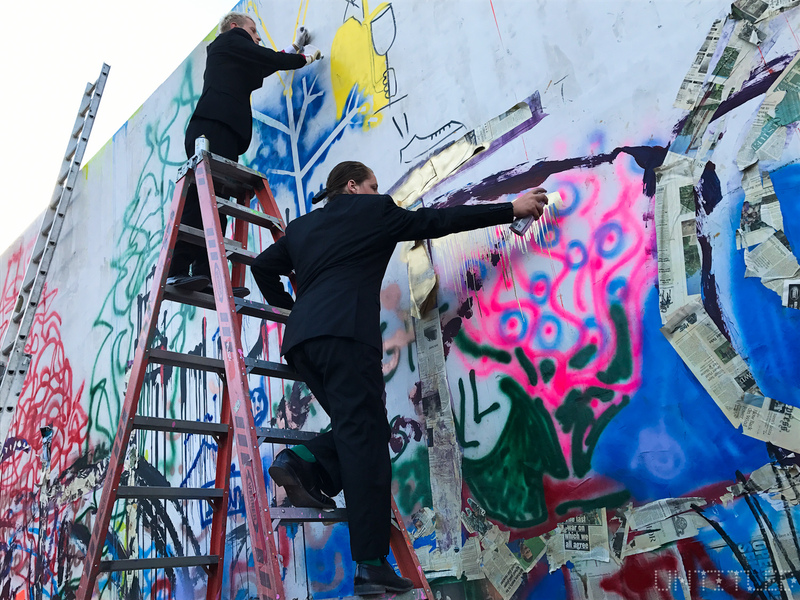 A 90-foot wall featuring Jenny Holtzer’s dramatic text “SHE OUTWITS HIM / SHE OUTLIVES HIM” in dramatic black bold letters was the background for cocktails and the silent auction. 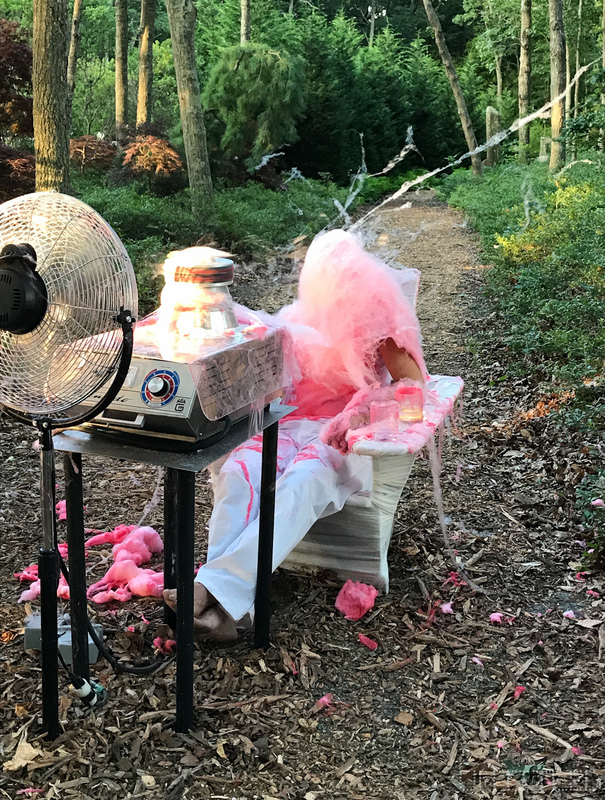 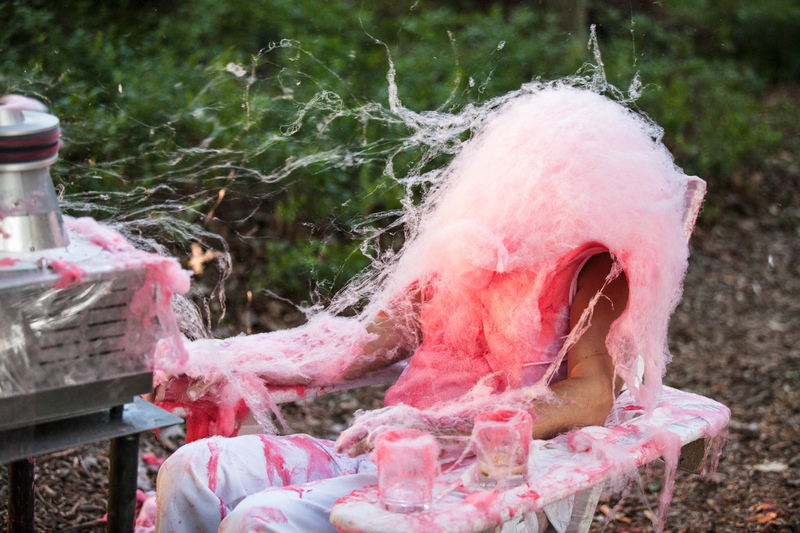 Other highlights of the performances included Stephen Shanabrook’s presentation of a headless man with cotton candy left for brains. 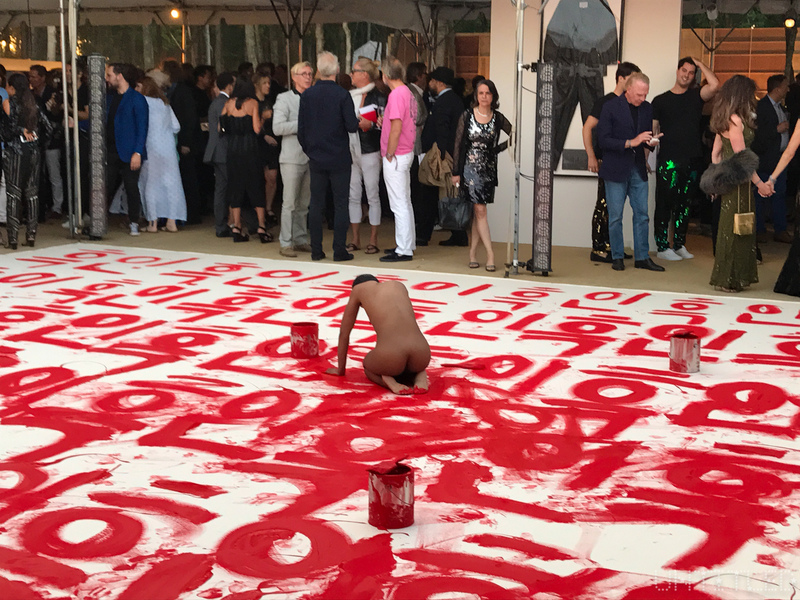 The silent auction featured a powerful selection of visual art across many mediums, including works by Annie Leibovitz, Lindsey Adelman, Carlos Bunga, Saint Clair Cemin, Candida Hofer, Joseph Kosuth, Raúl de Nieves, Hani Rashid, James Rosenquist, Paul Thek, Rosemarie Trockel, Tatyana Murray, Mark Siedenfeld, Gareb Shamus and Carrie Mae Weems. 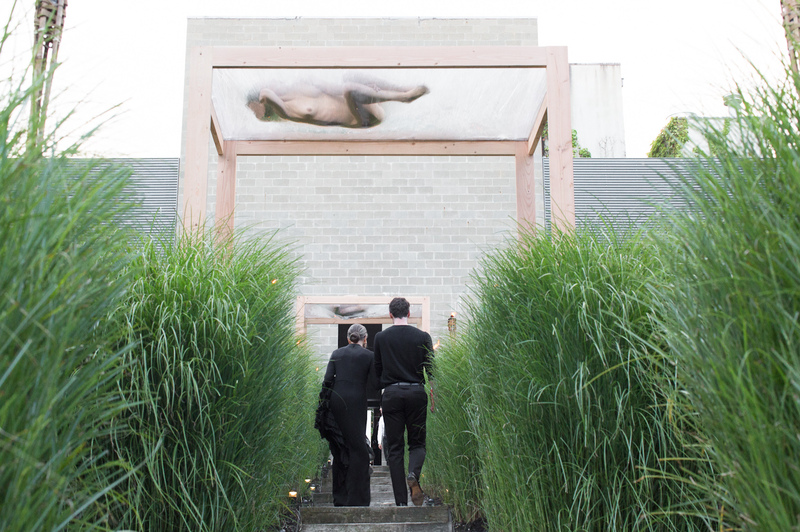 Guests enjoyed food, drink, and art throughout the evening and continued after cocktails to a seated dinner for 500 guests on The Watermill Center property. 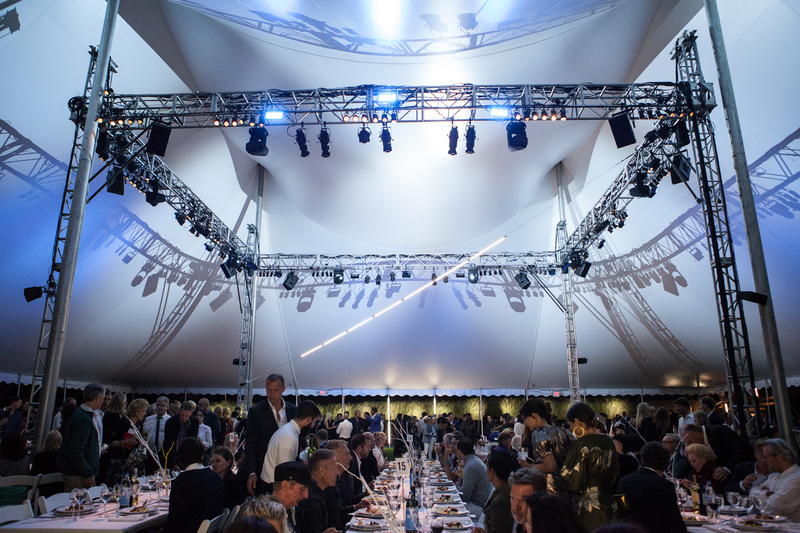 Auctioneer Simon de Pury did his magic with his captivated dinner audience presenting live lots including Robert Wilson’s video portrait Isabelle Huppert, 2005 and a private lunch and dress fitting with fashion designer Bibhu Mohapatra. 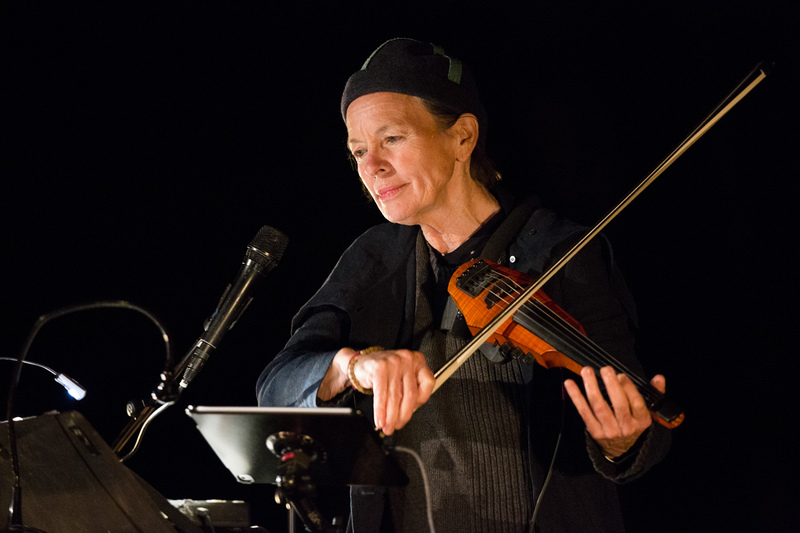 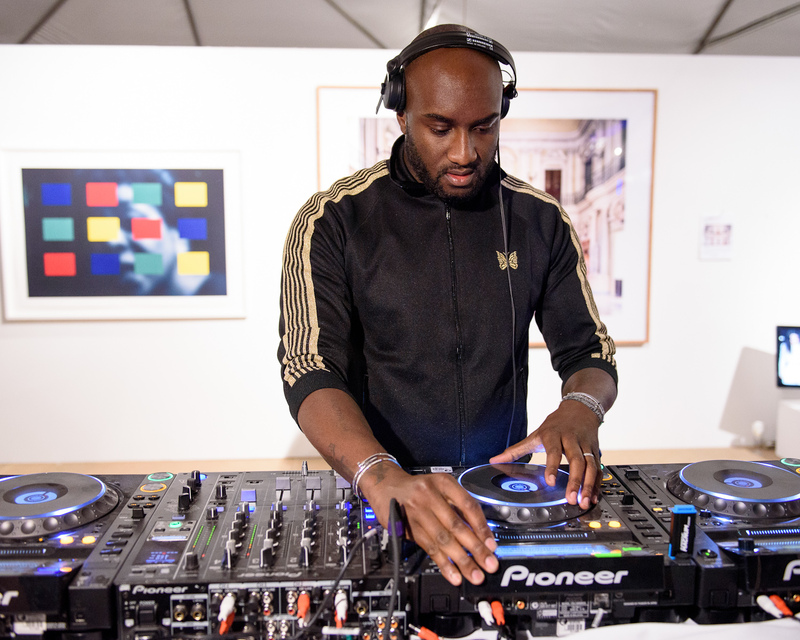 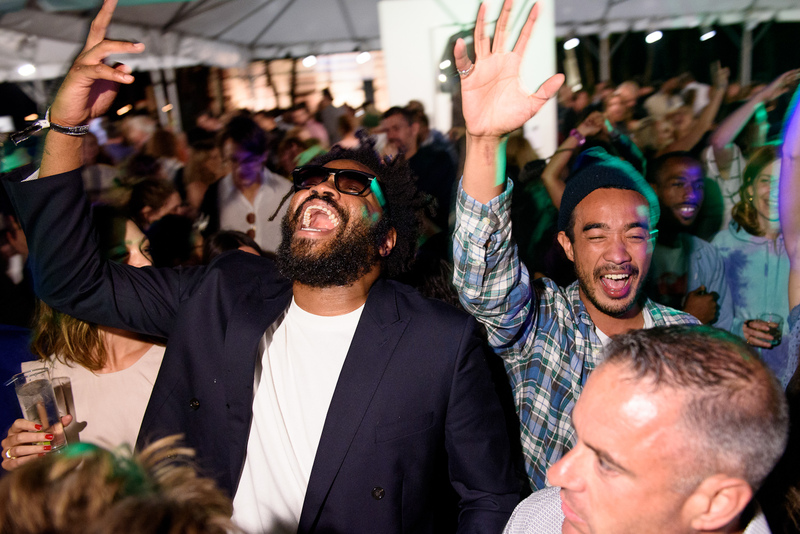 After dinner, guests were privy to a special performance by Laurie Anderson followed by a DJ set by Flat White aka Virgil Abloh who turned up the volume on the dance floor. 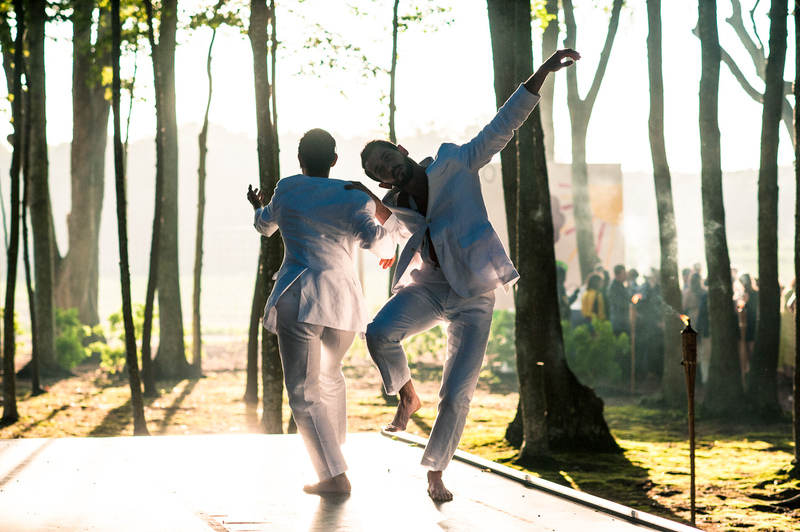 Another successful year for Robert Wilson and the Watermill Center, the evening was a night to remember! 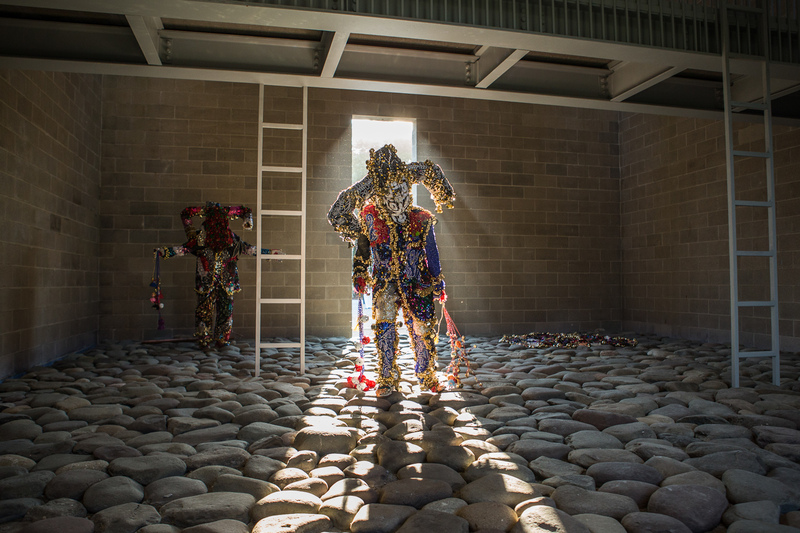 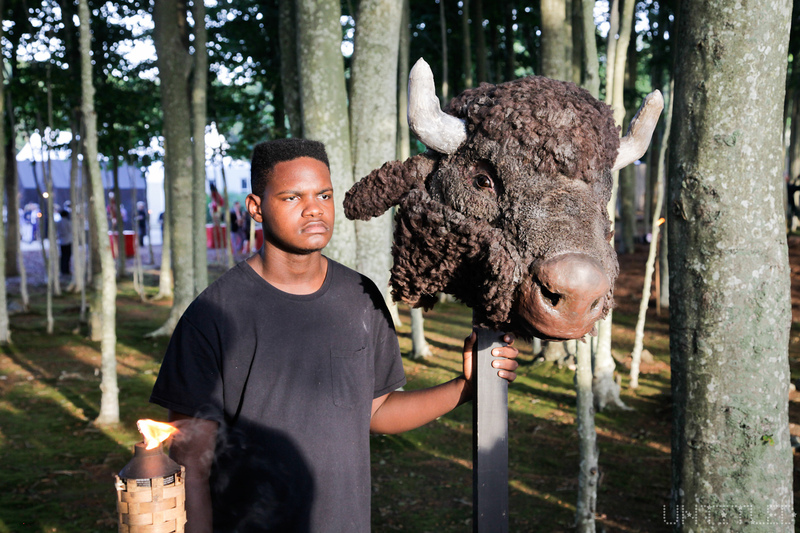 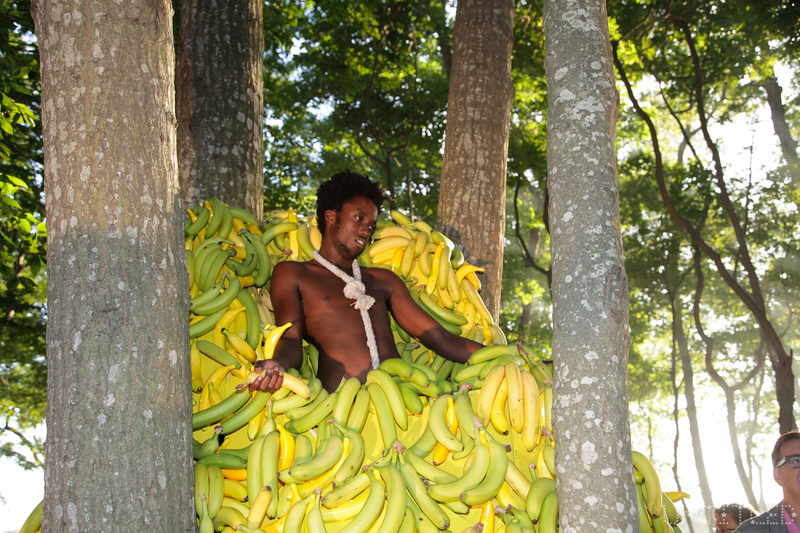 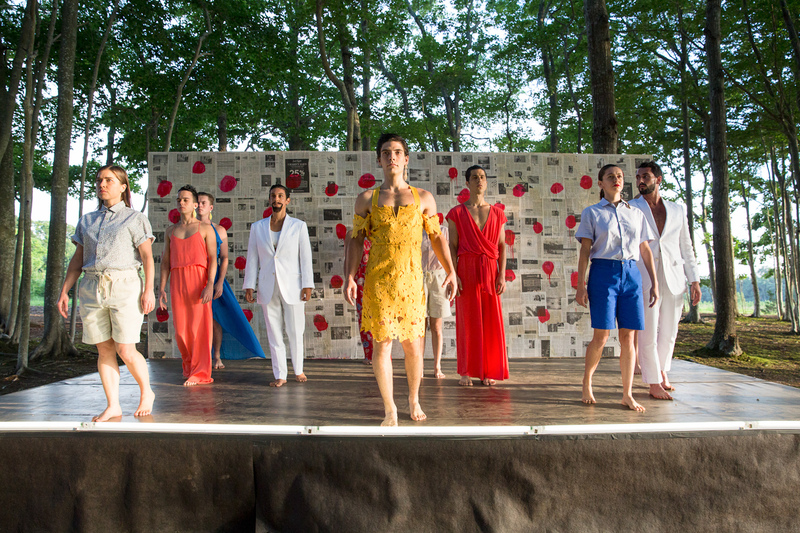 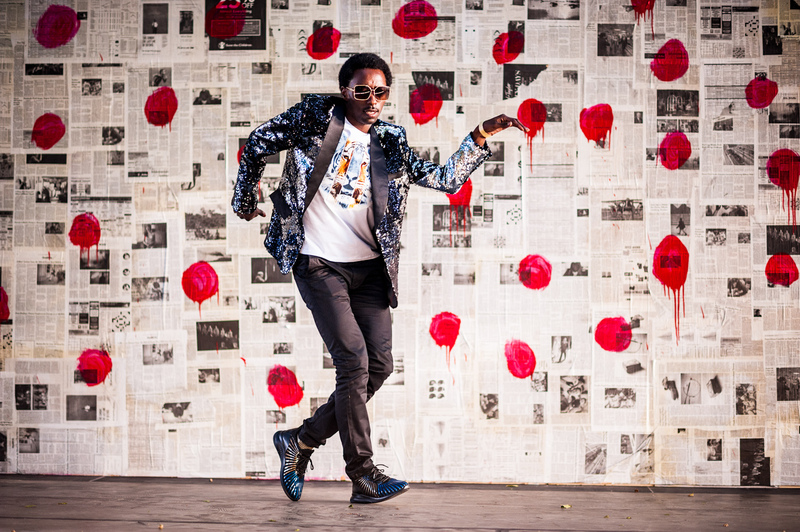 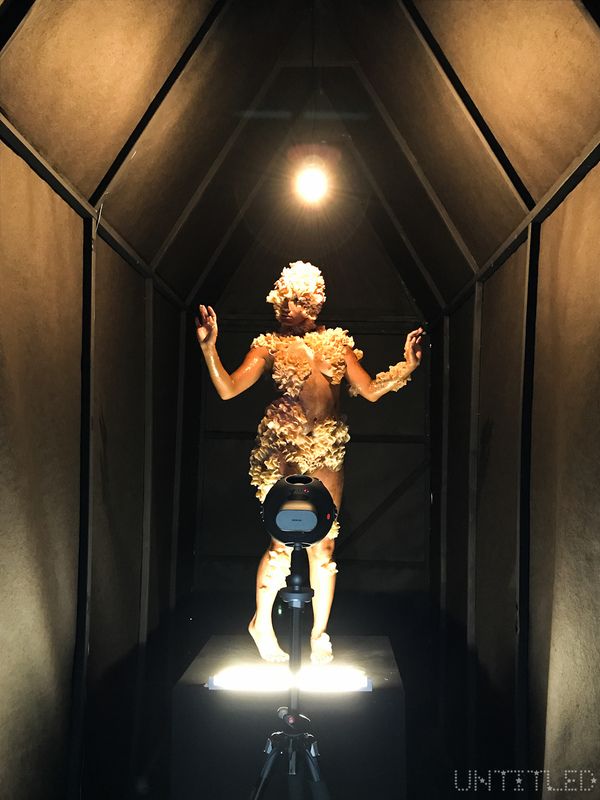 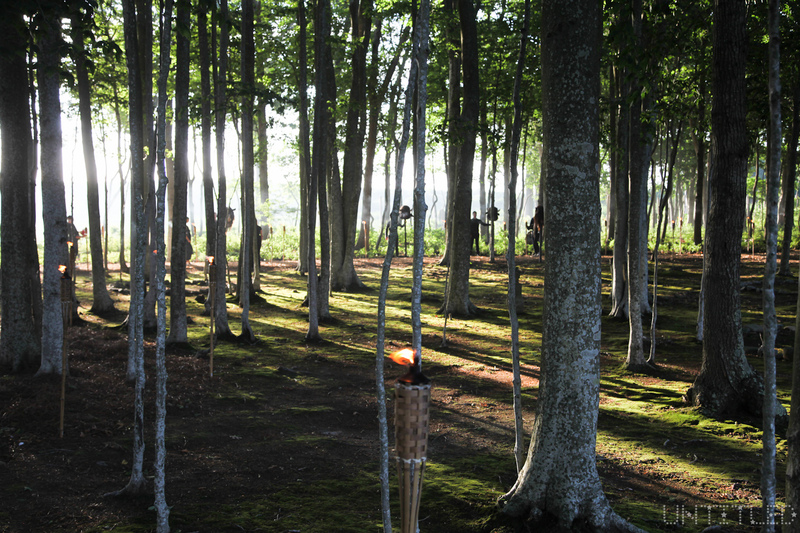 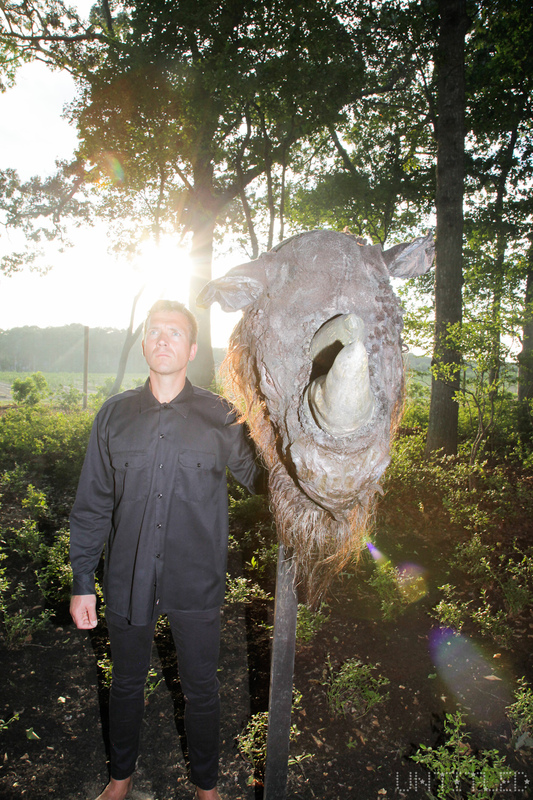 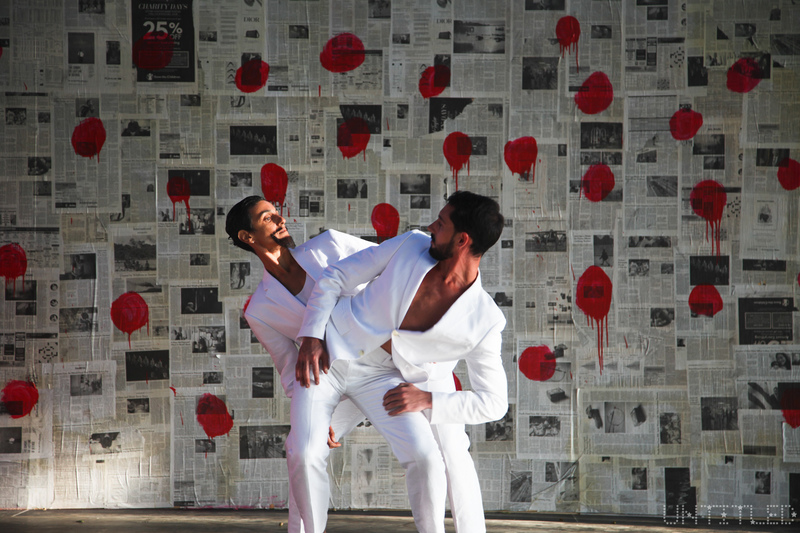 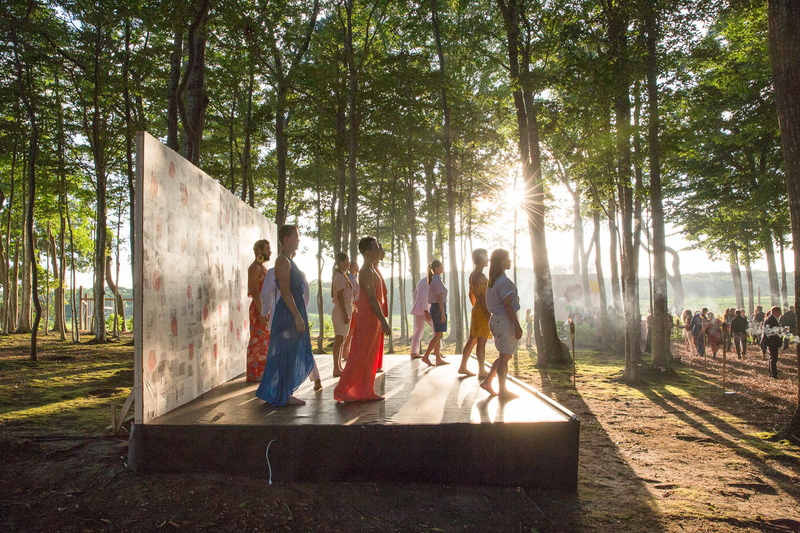 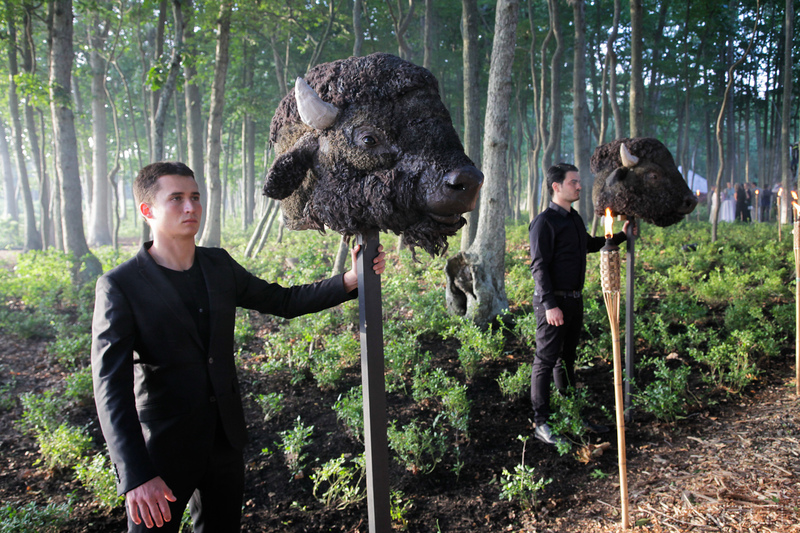 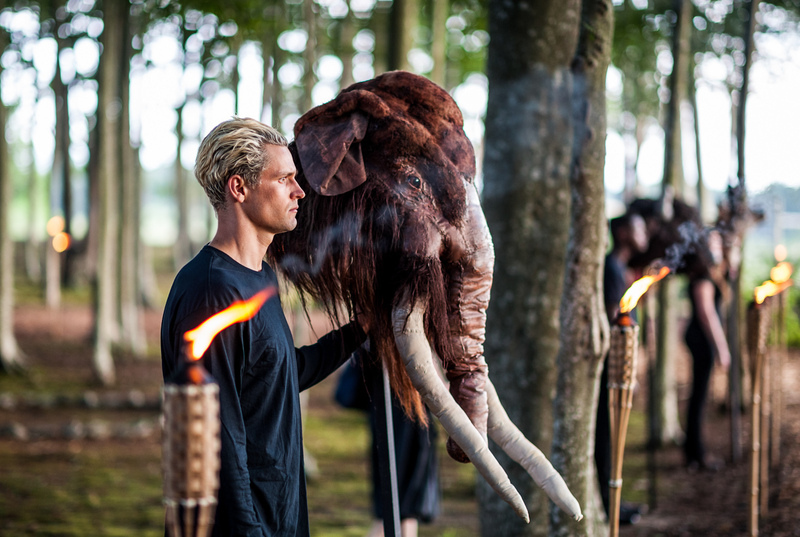 Images by The Untitled Magazine, The Watermill Center and BFA.